Repeat performances are hard to come by in music. Most groups who show promise end up leveling off and staying in a musical space that is comfortable for them. Haken, a progressive metal band from Britain, has been trying to avoid the stagnation that often follows impressive debuts. Haken released their third album The Mountain in September. The record demonstrates all of the values of progressive music: Virtuosity, complexity, story and a jazz influence. 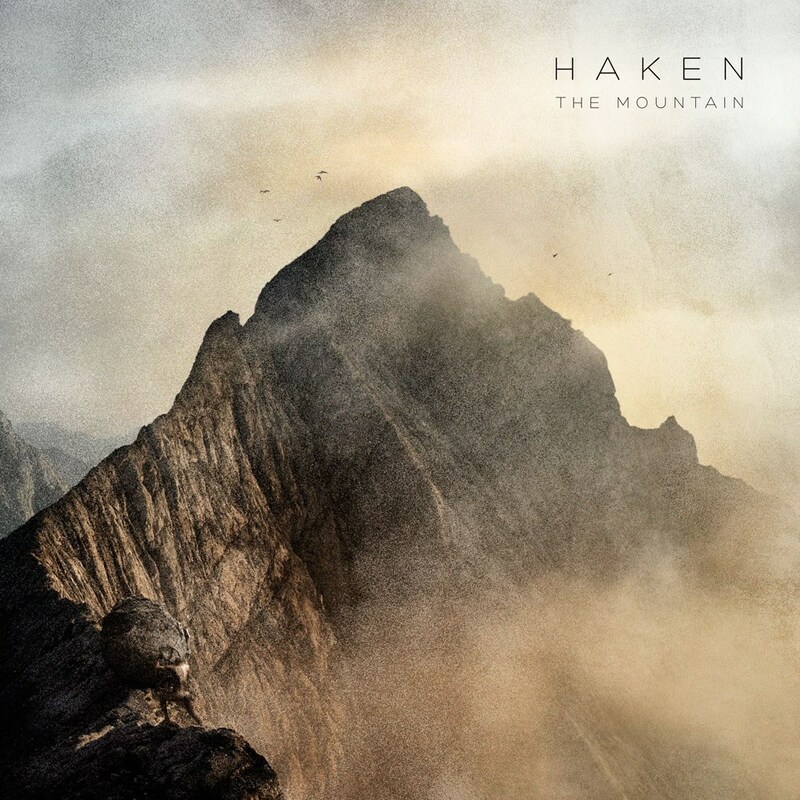 Perhaps most importantly, the group's ambition to continue to develop has not gone unnoticed- Greg Kennelty from Metal Injection stated "The Mountain puts Haken at 3-for-3 when it comes to releasing perfect albums" . The group's continued critical acclaim is well earned, as The Mountain is easily one of the best records released this year in the genre. The Mountain is your third album release. What did you aim to do differently this time around? We wanted to tread new ground with ‘The Mountain’, so it was important for us not to follow the same formula of ‘Aquarius’ and ‘Visions’. With this in mind, we steered clear of creating a narrative based concept album, and instead wrote about our individual experiences and emotions. One of our main goals was to create an album with a strong and honest message that would hopefully strike a nerve with our fans. It wasn't as much of a conscious effort as it was a natural result of what we've been listening to lately. One band that gets a lot of love in the tour van is Gentle Giant, so I’m sure their influence can be heard throughout the album. If we could achieve just a small fraction of their genius, I’d be a happy man. Another band that I admire is ‘The Dear Hunter’. I particularly love their backing vocals arrangements, which I find to be very reminiscent of some of Queen’s work. We've tried to adopt a similar mentality when it came to arranging the backing vocals on ‘The Mountain’ by making them a lot more prominent in the overall mix. "The Mountain" shows just how far Ross Jennings has come in terms of vocal ability. Did you guys set out to showcase your vocal talent? I agree, Ross did a stellar job on this album! He has a very dynamic and colorful voice, so we felt it was important to give him the room to shine on each track. We always set out to make ‘The Mountain’ a lot more vocal driven than our previous efforts. We were very much of the mindset that vocals are what the fans latch onto, and are usually what people will remember after the song has finished. With this in mind, we put a lot of time and effort into creating strong and memorable vocal lines, and would often bounce ideas back and forth with each other till we arrived at something we were all happy with. Also, having more focus on lyrics gave us more time to really get to the heart of the story or theme within each song, which helped give the album more emotional depth. You seem to share the affinity for the album as a medium that many progressive artists have. How important is it for you and the band to create a cohesive album? When writing each track, I always try to be aware of the bigger picture. Each song needs to be strong enough to stand on its own, but also needs to make sense within the album as a whole. I have always agreed that the sum is greater than it’s parts. For me, a good album consists of a healthy balance of peaks and troughs and should never bombard the listener with too much of one particular mood or color. This is something we always strive to achieve. In terms of the music, we've always worked the same way. I write the initial blueprint for each track in MIDI format, which I send to the rest of the guys for them to study. We then take the songs to the rehearsal room and tweak the arrangements until we’re left with something we’re all happy with. We also took a different approach with the lyrics this time round. We all had a go at putting pen to paper, whereas Ross had taken care of all lyric duties in the past. Working in this way enabled us to deal with a broader range of experiences and emotions than our previous work. How was your material been received by fans on your latest tour? The new tracks are a lot of fun to play live. Of the new tracks, ‘Falling Back To Earth’ and ‘Cockroach King’ seem to arouse the strongest reaction from the crowd. They are also my favorites to play live as they have a good balance of heaviness, quirkiness and emotion, which always keeps my fingers and brain busy. 'Cockroach King' is one of my favorites from the album and is certainly a fun one to pay live. It's a tip of the hat to the aforementioned Gentle Giant, and builds on their tongue and cheek approach to music. It was the first song I started writing for the album, and it went through many different versions before I sent it to the rest of the guys. We decided to make a Muppet-inspired video for the track, which was masterminded by Charlie; I think it matches the quirky vibe of the track perfectly! Queen is Charlie’s favorite band, so as you probably guessed, our video is basically a parody of Jim Henson’s Bohemian Rhapsody parody. Haken recently finished their tour of Europe in support of The Mountain. You can find them at hakenmusic.com and on twitter. They are performing at the 2014 Progressive Nation at Sea Festival.